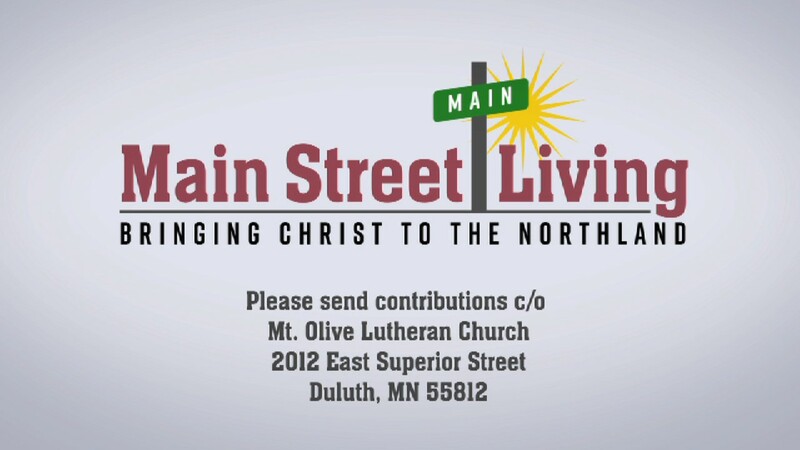 Every Sunday Morning on KBJR Channel 6 at 10:00 A.M.
Main Street Living Northland is a locally produced TV program that includes a 30-minute worship service led by local LCMS pastors, along with a 30-minute children's program called "Kid's Crossing". It is a great opportunity for anyone who is not able to physically attend a church service to still be able to worship our Lord, sings hymns, and hear the Word faithfully preached. It is broadcast every Sunday at 10:00 a.m. central time on KBJR Channel 6 NBC, and cable and satellite systems carrying these stations. It is also archived on VIMEO. If you would like to donate to this amazing oureach ministry, please call our church office.